Steam might just have leaked the release date of Blood & Wine, the second and last expansion for The Witcher III: Wild Hunt. The DLC page has been taken down already, but we were able to take a screengrab as you can notice below. The page unequivocally mentions May 30 as the launch date for Blood & Wine. That’s in just over three weeks from now. We don’t know a lot yet about The Witcher III: Blood & Wine, but here’s a recap of what the developer said. Toussaint, the new realm we’re creating for the expansion, is unlike anything you’ve seen in Wild Hunt – carefree and colorful, but your gut never stops telling you that there’s some real dark stuff happening underneath all that. 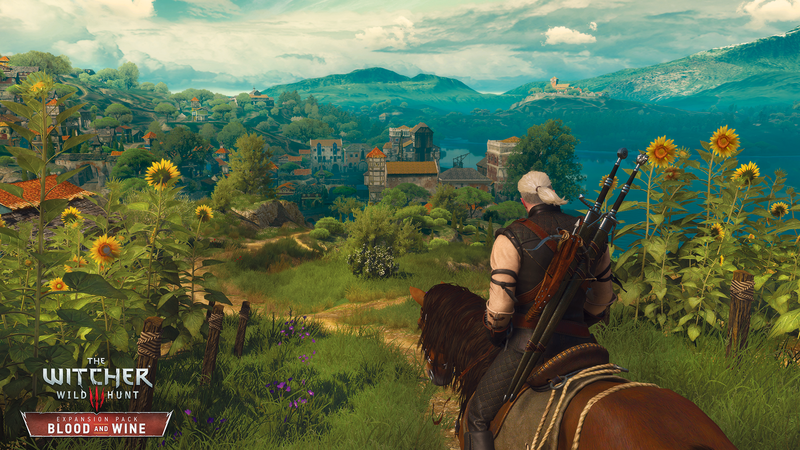 CDPR also confirmed that the graphics have been improved (as you can see in the latest screenshots); Blood & Wine will feature completely new music and lots of new creatures; its region, Toussaint, will be about as big as all the Skellige Isles combined. In terms of plot, they teased a complex storyline and a memorable antagonist. CD Projekt RED will likely release a lot more information about the expansion, stay tuned on Wccftech to get all the latest.